A legend not only for services to his country’s Soccer team, but so too to a number of domestic clubs over the years, Andrew ‘Andy’ Cole is a venerated guest speaker who will be the talk of any after dinner event he attends. Despite being born in Nottingham, it was with Manchester and Newcastle that the now retired striker had strongest associations – no wonder given the fact he holds the rare accolade of having collected all possible honours from the modern game. Despite starting at Arsenal, many people remember Cole from his amazing goals to game ratio at Newcastle FC during the mid-nineties. As well as hat-tricks against Royal Antwerp in the UEFA Cup, Cole has the great honour of scoring Newcastle’s first ever goal in the Premier League! It was a shock deal in 1995 which took Cole south to Manchester, though, where in the ensuing years he formed a formidable partnership with Teddy Sheringham and ended up at retirement age as the Premier League’s second highest ever scorer with 187 goals. Between 1995 and 2001, Cole was also capped 15 times for England and appeared in a number of World Cup qualifiers in that time. 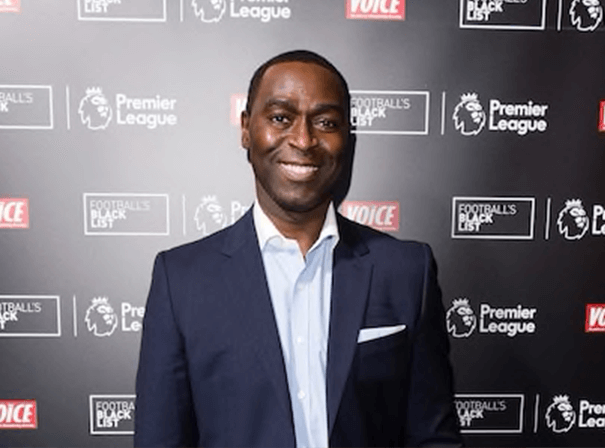 As a motivational speaker and because he has myriad successes to draw from, Andrew Cole is rare and charismatic gem suited to a wide range of events from after dinner to sports awards via presentations, television and more. Call one of our agents now for further details.